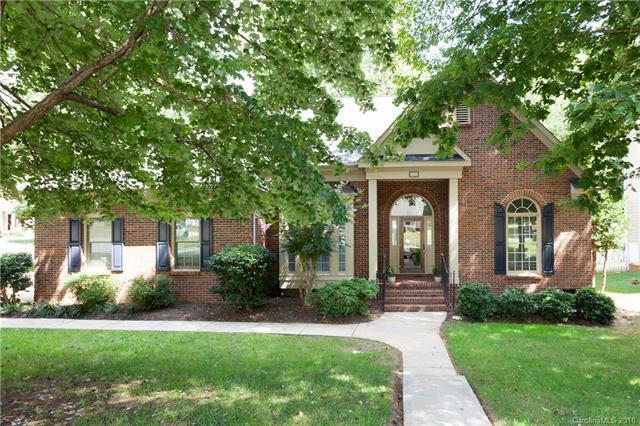 You will love this one story home in popular Lantern Green. This full brick, four bedroom home with a flex room on a wooded lot with such a nice fenced yard with a deck and patio area. The open floor plan is so striking with volume ceilings, dining room and office at the front of the house opening to the huge kitchen and great room and breakfast area on the back of the house. The split bedroom design gives you three bedrooms separated from the master suite. Upgrades include true hardwoods and central vac. This neighborhood has tennis courts, swimming pool and mature, natural common areas. So convenient to I-85 and Hwy 73. Sold by Fk And Associates Real Estate Firm.